We celebrated Harry Potter Book Night in the Library this year, by taking part in the Bloomsbury national competition to invent your own magical spell. 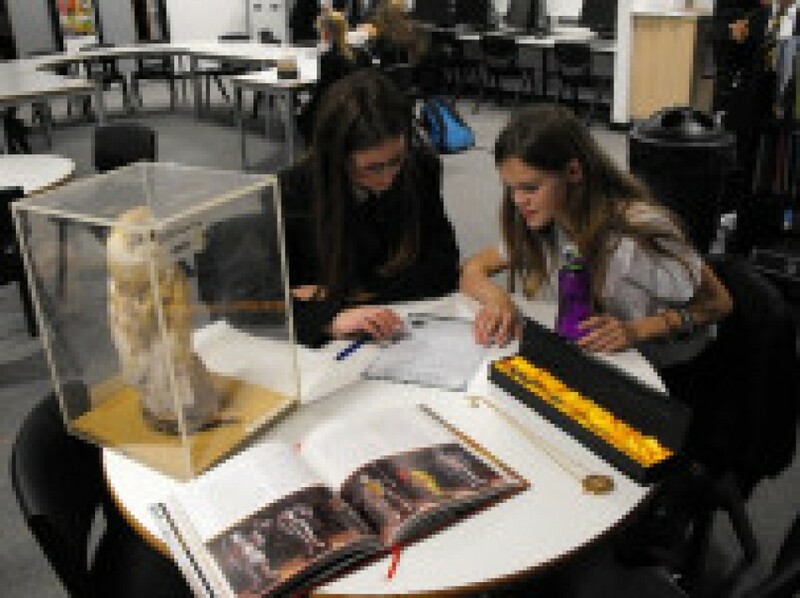 Students invented their own spell including details such as the spell name, the words that are said to cast the spell, what happens when you cast the spell and a drawing of the wand needed to cast the spell. 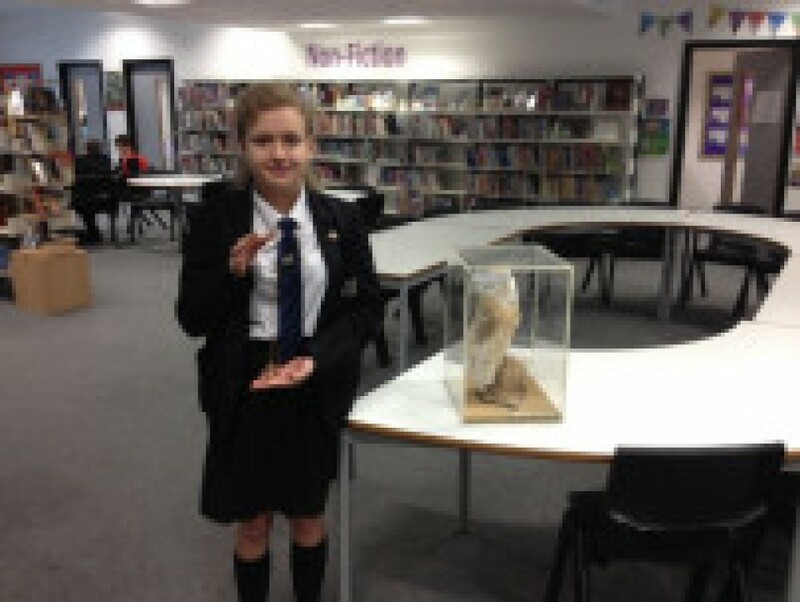 Students also enjoyed the opportunity to read the new illustrated edition of Harry Potter and the Philosopher’s Stone by Kim Kay and meet our very own Hedwig! 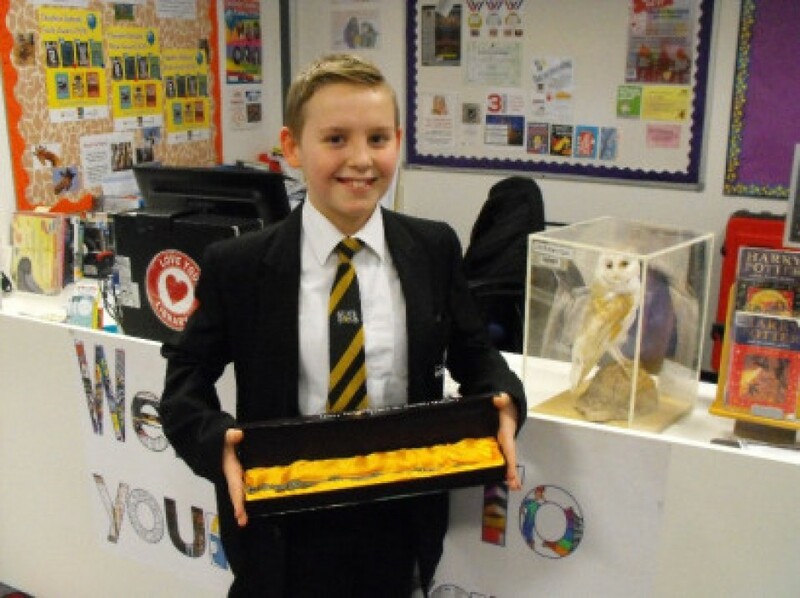 English teacher, Mrs Falconer, judged the spells, and the winner, Daniel in Year 7, was awarded with a Harry Potter wand. The runner, Isabelle in Year 8, was presented with a time turner. Daniel’s spell ‘Darwinian Rapados’ was to bring animals back from extinction, with the option to choose which animal should be brought back to life, for example a dodo. Isabelle’s spell ‘Expillodotious’ was to protect and heal you and others who have suffered a great loss. Several of the magical spells will be send off to Bloomsbury for the opportunity to win a ‘Professor of Potter’ live event for the Academy. Fingers crossed!